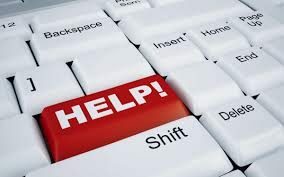 If you need help or support in using computers, the following (mainly free) resources are currently available in North Somerset. If you know of a resource which is not listed here, please contact us and we will add it to the list. Volunteer computer buddies are being recruited for help at other times. For All Healthy Living Centre Library – 10am-1pm – find out more about your computer. Clevedon Library – 10am-1pm & 1.30pm-2.20pm. Contact 01934 426020 to check availability. Weston Library 10.30am–noon. Age UK volunteers offer (over 50s) one to one basic computer and iPad skills £2 per session booked through Age UK – 01823 345610. Clevedon Library – 1.30pm-3.30pm. Contact 01934 426020 to check availability. Clevedon Library – 2.30pm-3.30pm. Drop-in session. Nailsea Library – 10am-noon. Contact 01934 426030. Portishead Library – 2pm-4pm. Contact 01934 426040. Worle Library – 10.30am–12.30pm. Contact 01934 426090 to check next available session. Yatton Library – 10am-noon and 2pm-4pm. Contact 01934 426100 to check availability. Portishead Library – 11am-1pm. Booking essential 01934 426040. Long Ashton Library – 11am-12.30pm. Contact essential 01934 426040. Run by Age UK Somerset at the Big Worle Hub (Preanes Green Resource Centre) in Clovelly Road, Worle in Tuesday mornings 10.30 till 12.00. Booking is essential. Please click here for more information. There are spaces available on the free beginners computer training run at Westonworks on Tuesday and Wednesday mornings. To book, ring on 01934 426260 or drop into The Information Station, Weston-super-Mare, BS23 3SS (opposite the Healthy Living Centre). There are a number of courses available at the Carlton Centre in Weston-super-Mare, including Computer Skills for Work, Basic IT and Intermediate IT. For more information, phone 01934 427504 or email community.learning@n-somerset.gov.uk.